All bears are carnivores but in practice they are opportunistic omnivores, with large portions of plant matter included in their diets. They are believed to have evolved 30-38 million years ago from ancestors that are believed to have been dog or raccoon like in size and shape. 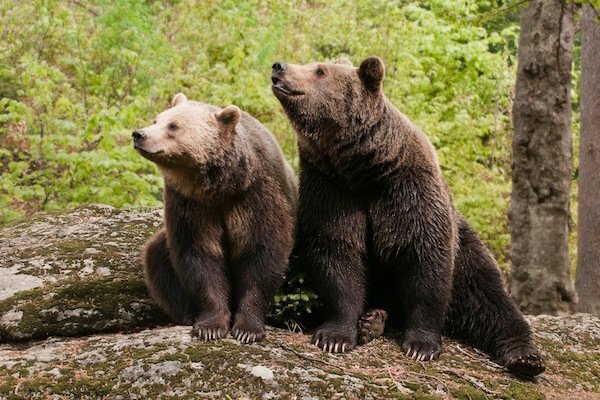 The ability of early bears to adapt to a variety of living conditions and major environmental changes, accounts for why they have been able to be so diverse, which also lead to the development of the different species of bears. Each one changed in ways that allowed them to be able to live in a given area, developing the adaptations to survive the specific conditions. For example, some adaptations include the coloring of their fur for blending into their surroundings, its thickness to resist the weather conditions and some others. The type of food that they eat and where they get it from also is geographically diverse. While some learnt to catch salmon fish, others developed long tongues to catch termites. Bears seem to have a very bad reputation out there in society because their aggressiveness, but this mainly happens when they are threatened. Bears are solitary animals that are often misunderstood. They generally will mind their own business out there in the wild, but can get upset when they feel themselves or their young threatened. Today people continue to move closer and closer to the natural environment of bears. Then they complain when they get into their trash or picnic areas. We have to remember that how they behave is due to their natural instincts. There are only eight living species of bears that are found throughout the world. Most of them are either black or brown in color. The one that stands out is the Polar Bear who is white. This is due to the fact that they live in the very cold regions with lots of snow and the white coloring helps them to easily blend into their surroundings. Most of these bear species live in the northern hemisphere, being the only exception the spectacled bear who lives in South America. All the other species can be found in North America, Asia and Europe. Bears are well known for their size and powerful strength. They are often the winners in the wild when there is a battle among them and another animal. The warning signs of a bear not being happy include standing up tall and roaring. It is said that you should make yourself appear as large as possible when a bear is in such a stance. Chances are they will run away from you instead of attacking. It is the fear of being attacked that has caused and unnatural fear of bears throughout our society. Attacks can occur but they are very infrequent. Yet those occurrences get sensationalized and that gives people a very bad impression about them. In North America, there are registered two fatal bear attacks of Black bears during 2011 and two more from Brown Bears. Most bears are content to live in the wild and to roam around looking for food. They consume a variety of foods including nuts and berries. They can be found in polar ice, grasslands or forests. They can also be found on the open plains or in heavily wooded areas. Bears have no problem to adjusting in captivity. In fact, they are among the most popular attractions at zoos all over the world. There are several species of bears that have already become extinct. This is due to slow reproduction rates and the destruction of their environment. 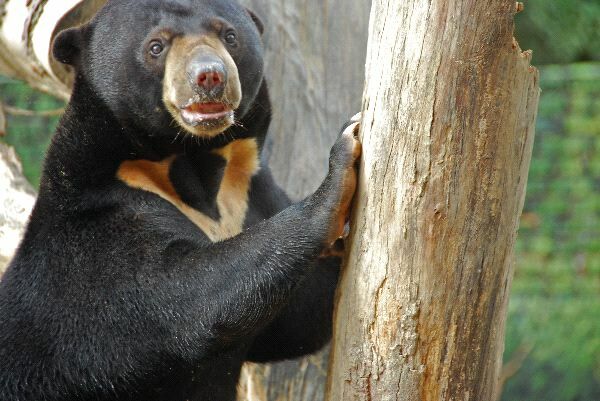 There are some other species of bears that are also endangered or vulnerable. Even with active groups doing all they can for awareness purposes and to help get their numbers up there is the risk. As we can see, 6 out of 8 living species have decreasing populations, being five of them vulnerable and one endangered.